Seven won Grand Prix and 29 times on the podium. Enough for Renault to choose Daniel Ricciardo as a new racer for the next two seasons. After Red Bull Racing announced Daniel Ricciardo would not renew his contract with the team, Renault officially confirmed the signing of the 29-year-old australian driver. “”It was probably one of the most difficult decisions to take in my career so far” Ricciardo said. “But I thought that it was time for me to take on a fresh and new challenge. 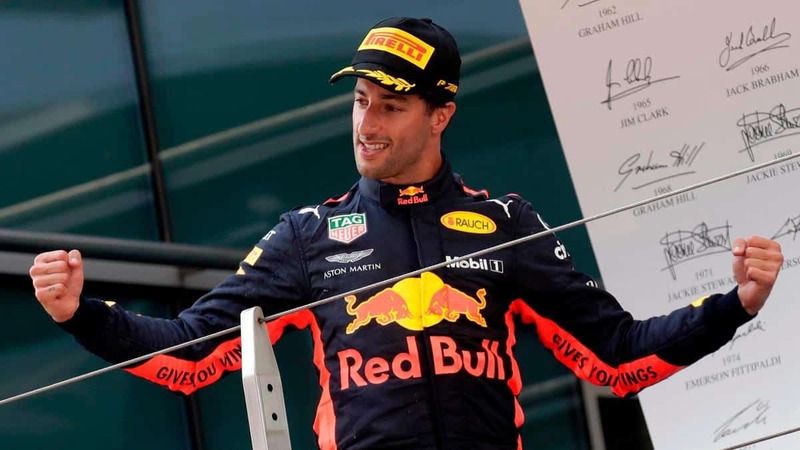 Ricciardo will team-mate with Niko Hulkemberg till 2020, while Red Bull Racing should choose Pierre Gasly to flank Verstappen leaving Carlos Sainz free to join McLaren but The chairman of Red Bull Christian Horner doesn’t reveal anything for the future of the team: “We fully respect Daniel’s decision to leave Aston Martin Red Bull Racing and we wish him all the best in his future” he said. “We would like to thank him for his dedication and the role he has played since joining the Team in 2014, the highlights of course being the seven wins and the 29 podiums he has achieved so far with us.